Today’s guest post is by Adam Ghering, public affairs specialist with the U.S Department of Agriculture’s Food Safety and Inspection Service. With Fourth of July just around the corner, grill season is officially here. Learn how to cook safely for your family or a crowd with these tips from USDA. Long days and beautiful weather make the summer months perfect for grilling outdoors. There are many different types of grills and cooking methods to cook your meat and poultry. Regardless of what grill you use, food safety is essential to make sure you do not get yourself or family and friends sick. Here’s a quick overview of each general type of heating source for the home grill and specific food safety tips when grilling. • Charcoal: Using charcoal imparts a smoky flavor on the foods you’re cooking. Watch out though, as charcoal grills can get up to 700 degrees! Hot grills can quickly brown the outside of meats, giving the meat the appearance of being “done.” However, the internal portions of the meat may not be cooked to a safe temperature. Always use a food thermometer to verify a safe internal temperature has been reached. • Gas and propane: While gas and propane grills will generally provide less of a smoky flavor compared to charcoal, they can be heated to cooking temperatures very quickly, and the heat can be controlled more precisely. If you are cleaning the grill surface with a wire cleaning brush, carefully inspect the grill for bristles that might have come off of the brush or consider using other grill cleaning methods or products. Check out these tips to learn more about safe grilling! • Electric: All you need is an electric outlet to start an electric grill, and it can be heated up in a uniform manner. You can partially cook food in an oven, stove or microwave before grilling to reduce grilling time, but the food must be placed on the preheated grill immediately after partially cooking. • Campfire: With so many options for cooking techniques — grilling baskets, skewers, metal grate, Dutch oven — and the addition of that wonderful smoky flavor, campfire grilling can be an appealing option. But watch out! Fatty foods can produce grease, which if exposed to flames can cause flare ups. Cold spots in the fire can lead to cold spots in the food. Whichever types of grilling you do, always use a food thermometer to ensure your meat and poultry is safe to eat. Fish should be cooked to 145 degrees. Beef, pork, lamb and veal — steaks, roasts and chops — should be cooked to 145 degrees with a three-minute rest time. Ground meats should be cooked to 160 degrees, while whole poultry, poultry breasts and ground poultry should reach 165 degrees. Keep in mind that when grilling, some foods cook faster than others. You may need to keep cooked food hot — above 140 degrees — while waiting for other pieces to reach a safe internal temperature. If that is the case, create different levels of heat by positioning charcoal on one side of the grill, or turning heating elements higher on a specific side. The high heat area will allow for cooking, while the lower heat side can be used to keep food warm until serving. If you have a question about meat, poultry or egg products, call the USDA Meat and Poultry Hotline at 1-888-MPHotline or email or chat via Ask Karen or Pregúntele a Karen. Get more tips on safe cooking outdoors with this USDA fact sheet. Have a safe, happy and tasty Fourth of July! We all know it’s important to be personally prepared for emergencies — that’s why we have flashlights, batteries, first-aid kits and food and water tucked away, right? But if a major disaster happens, it’s really crucial that health workers in our communities are prepared too. Just like fire departments and emergency medical personnel, workers in health departments and public health labs need to be staffed, trained and ready to help when it matters most. Which is why a bill that’s making its way through Congress right now is so important. Once it’s approved, the Pandemic and All-Hazards Preparedness and Advancing Innovation Act of 2018, also known as PAHPA, will continue funding that’s used to support preparedness at thousands of health departments and labs in communities all around the country, including yours. This is really important, as funding is crucial when dealing with disease outbreaks such as flu or Ebola — or in the event of biological, chemical, radiological and nuclear incidents. Clearly, we don’t want any of these disasters to happen. But if they do, we want our health workers to be prepared. After all, they are the ones who protect us, our families and our communities. A Senate committee recently approved the preparedness funding legislation. APHA thanked the committee members for their support. The Association also called for more funding so that we can make sure our health departments and labs can do all they need to. A House committee is now working to develop its version of the legislation. 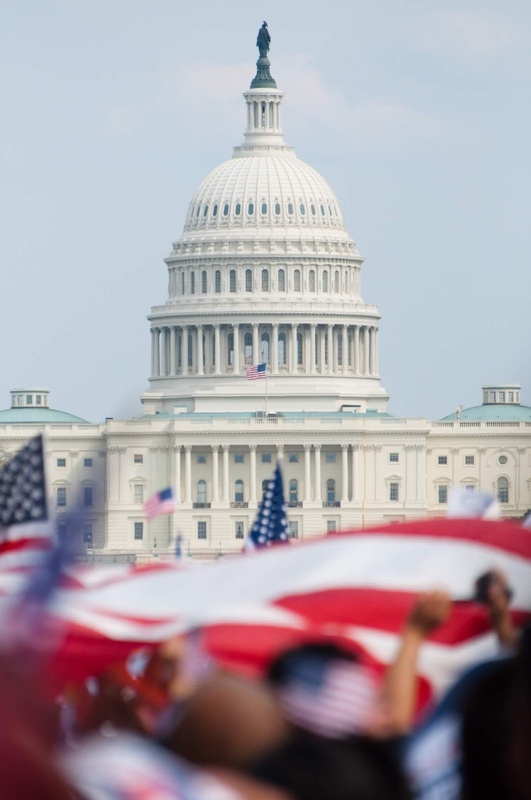 APHA will continue to advocate for preparedness funding as the bill makes its way through Congress. Stay tuned for more updates! The closest most people will get to a volcanic eruption is a science class experiment. Mixing vinegar and baking soda can be a huge mess, but volcanic eruptions have the ability to crush entire cities. Eruptions can create lasting effects for the entire world. For people in Guatemala and Hawaii, the hazards caused by volcanoes are all too real right now. Thousands of residents in Hawaii have been displaced as Kilauea continues to erupt, and the death toll has climbed following the eruption of Volcán de Fuego in Guatemala. 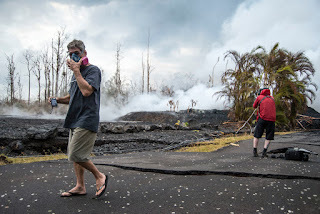 harmful volcanic ash in May in Hawaii. The U.S. has over 150 active volcanoes, two of which — Kilauea and Mauna Lau, also in Hawaii — are among the world’s most active volcanoes. This may seem like a shocking number, but an active volcano is simply one that has erupted in the past 10,000 years. So while it’s unlikely that a volcano is going to erupt in your backyard, you may be living in a volcano hazard zone. Know what is going on around you. The Volcano Hazards Program offers real-time updates on volcanic activity in the U.S. If you live in a volcano hazard zone, sign up for alerts from the Volcano Notification System. Have a plan of action. Volcanoes produce lava, ash, gases and debris that cause air pollution, water contamination and bodily harm. You’ll want to have a kit ready with face masks, water, goggles, a battery-operated radio and other emergency supplies. Talk to your family about an evacuation plan including emergency contacts, places to meet and a plan for pets. If a volcano erupts, it’s time to act. Always follow evacuation instructions from local authorities. Don’t linger, and don’t stick around to take photos or videos — it’s not worth your life. When outside, cover your eyes with goggles, your mouth with a face mask and as much of your skin as possible. Then seek shelter. If inside, continue to cover your eyes, mouth and skin. Close and seal all doors, windows and other points of entry. After the eruption, let your friends and family know you’re OK by using systems such as Safe and Well and social media. Avoid driving in ash and only go outside if authorities say it’s safe to do so. Take caution when clearing ash and debris from homes and cars, as ash can weaken structures and cause roofs to collapse. Preparing now can protect you and your family later. For more tips, check out our Get Ready fact sheet. 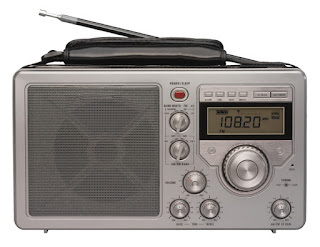 Listen to the radio for storm and flood announcements. Recently, many states along the East Coast have experienced flooding due to high levels of rainfall. According to the Red Cross, floods can occur for many reasons including heavy rain, hurricanes or even melting snow from a blizzard. A common type of flood is a flash flood, which means that the flood develops very quickly in a short amount of time. Local media and the National Oceanic and Atmospheric Administration will announce if there is a flood warning in your area. Stay tuned to your radio or TV. If a flood is imminent, check your emergency kit to make sure it is well stocked. You can even make one for your pet! Be ready to evacuate and know the safest route to an emergency shelter. If you have time, the Red Cross suggests filling up your car’s gas tank, checking your bottled water supply and turning off any propane tanks. It’s also a good idea to discuss an evacuation plan with your family. FEMA says to make sure that everybody, especially children, knows each other’s contact information, and to come up with a meeting point in case of separation. Once the flooding begins, do not go outside — floodwaters move very quickly and may contain insects or other harmful parasites. It’s important to remember never to drive in a flood, as it can often lead to drowning. The Red Cross suggests that you monitor local radio, and be mindful of any water damage to electrical appliances. If you live in an area where floods are common, you may also want to consider purchasing flood insurance to ensure financial security in the event of a flood. The powerful currents and potential water damage associated with flooding can be scary, but just like any emergency, you’re better off when you prepare. Follow these suggestions and your next flood experience will be smooth sailing!